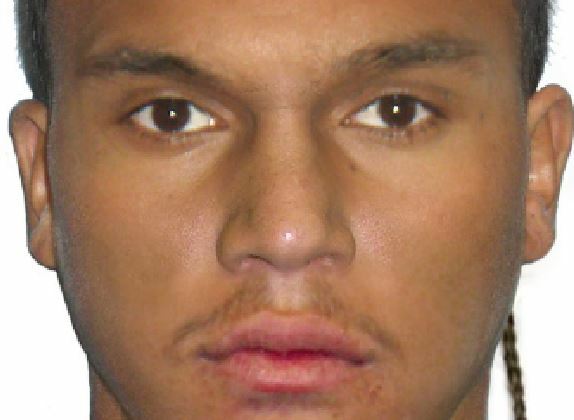 A composite image of the man police believe was involved. A CARLISLE teenager had a glass bottle smashed on him after chasing a man he had earlier seen trying to break into a car in Solar Way. The 16-year-old received serious hand injuries and minor cuts on his head when the man turned and confronted him with the bottle. Police said the boy first inside his house to alert his parents about the attempted break-in and then chased the man towards Fletcher Park on the night of Saturday, March 16. The incident occurred about 9pm. Police have not yet caught the man involved, who they described as dark skinned with a medium build, 183cm tall, about 18 to 21 and with black hair and a rats tail. He also had short black facial hair and was last wearing a light hooded jumper, a black waist bag over the shoulder and dark long pants. Report information to Crime Stoppers online at www.crimestopperswa.com.au or phone 1800 333 000, using reference number 9207.